Welcome to Dine & Dish Nation! When it comes to food culture, Detroit is the real deal. I’ve seen the proof. Since I’ve been in the media, I’ve met so many amazing and talented Detroit area chefs, many of whom have opened their own places. As I write, there are literally hundreds of locally owned restaurants around our city just waiting to be discovered – and I’m ready to help lead the charge! 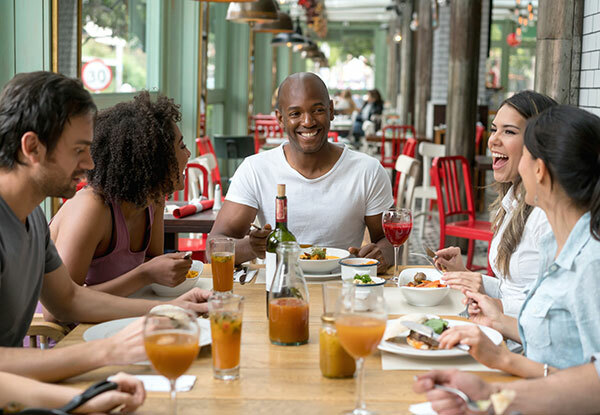 As for my qualifications, I consider myself a full-fledged “foodieologist” who loves finding new local hot spots, grabbing a bite to eat, and having a glass of wine – or two! In essence, I wanted to create a show that will give people who love the Motor City as much as I do a road map to find these great hidden gems, and hear real reviews from real people – just like you. It’s been an insanely amazing journey, and I can’t wait to share it with you! Dine & Dish Nation is the first program of its kind here in Detroit, and I’m so honored to be part of it. Our debut is right around the corner, so please check us out on Facebook and on Twitter, and join the conversation!